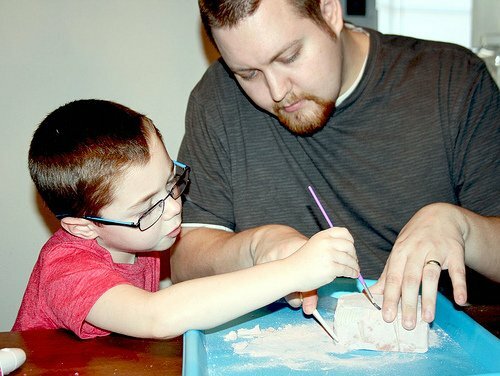 Help Me Re-Create Fun Dino Excavation Activity At Home? Today, my husband and son excavated and assembled a T-Rex from this fun little “fossil” we purchased at Cracker Barrel. 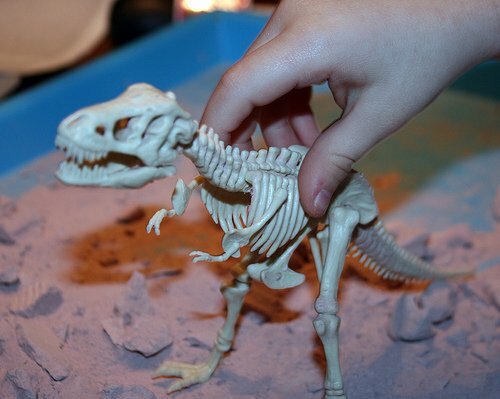 It wasn’t terribly expensive ($9.99), but I’ve got to think you could recreate this at home with some plaster of paris and some plastic dino bones? The tool they used looked a bit like a plastic knife on one end and a hammer on the other end. The other tool was just a basic paintbrush. I’d love to recreate this project again so it’s not just a one time thing. Obviously I don’t want to keep buying $9.99 kits! I’d love your advice: How would you recreate this craft at home? 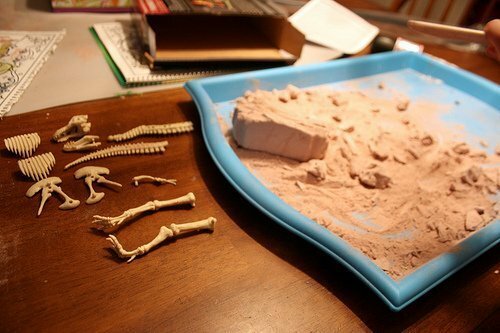 You could probably take apart the dino and put it in sand if you wanted to do something easy. Otherwise, I think plaster of paris would work! Neat Stacie! I love the chicken bone idea. I think I need to put chicken legs on the menu soon!